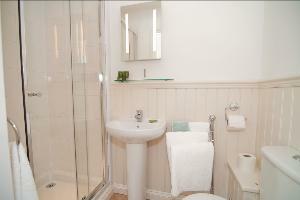 A spacious room with superking bed, a double wardrobe, a dressing table with mirror, en-suite shower and toilet facilities. 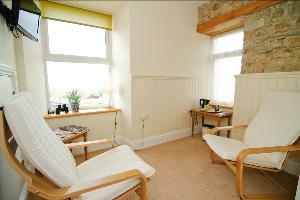 It also features a separate seating area with a stunning sea view. 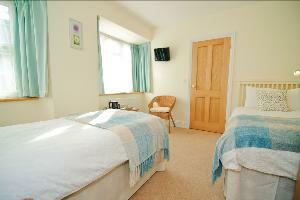 A spacious Twin Room which includes two single beds, a double wardrobe and a dressing table,with mirror and an en-suite shower and toilet facilities. 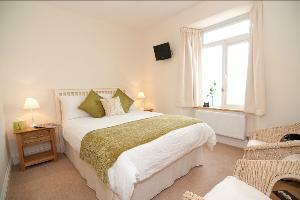 It also features a separate seating area with a stunning sea view. 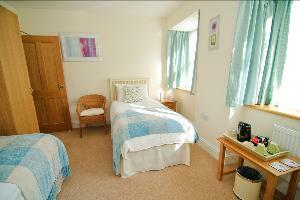 A comfortable Twin Bedroom, which includes a wardrobe and an en-suite shower room. 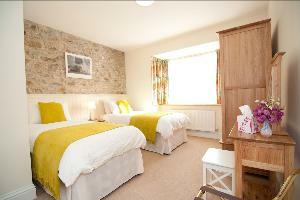 This room is decorated with soft cream walls and duck egg blue curtains and throws. This is a very bright and airy room. 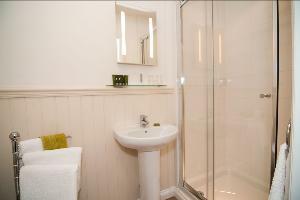 A luxurious Double Bedroom, with a wardrobe.Also en-suite shower room. 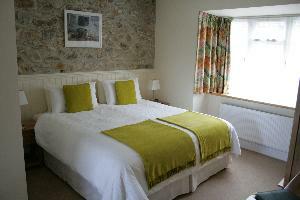 Stunning sea views, over rolling countryside towards Fishguard Bay and Strumble Head.